(that was a cheep joke). 80 million years unchanged by evolution? When are the wild speculative claims of how old they think things are going to be challenged. Gotta love it, throw a number out there that can never be verified and in all actuality does not mean a thing. I'm curious as to what exactly you're you basing your supposition on that leads you to this conclusion. It's not as if the margins of error in radioactive decay aren't understood or can't be independently corroborated. And how would they be understood. No way whatsoever to verify or corroborate anything at all. Far more is NOT taken into account, these parts of science are highly speculative and yet spouted as facts. I'm guessing they belong to the 6000 year old club. And you belong to the club that believes everything they read in science mags and media rubbish. Just another religion, even dumber though, they don't even acknowledge it, that they believe ALSO in things that cannot be proven and matter not at all. Statements like this can only be made from a place of willful ignorance. But then understanding huge subject matter would require looking at the actual science behind it and doing some actual research instead of dismissing it blindly because the notion interferes with your theological prerogatives. Let me ask you this, is dendrochronology also lacking any validity despite the fact that we can continue to take core samples from a tree throughout its life and verify the efficacy of the methodology? Because just as one example, 14C dating is calibrated against dendrochronology and is well within the very small margin of error. Furthermore, radiometric dating is never the sole determinate for any ascribed age given to an artifact/ set of remains/ or site. But please feel free to lay out the errors in methodology and science for us all. I'd love to see your astute breakdown of why the science is wrong. these parts of science are highly speculative and yet spouted as facts. Since you apparently know more about Radiometric dating than people who actually study and work in related fields, it should be a simple matter for you to falsify the data since it's mere speculation. I look forward to having you detail what all of the errors in the various Radiometric dating methods are and falsifying it for us mere mortals. It's cute. In a sort of OMFG it's ugly kind of way. 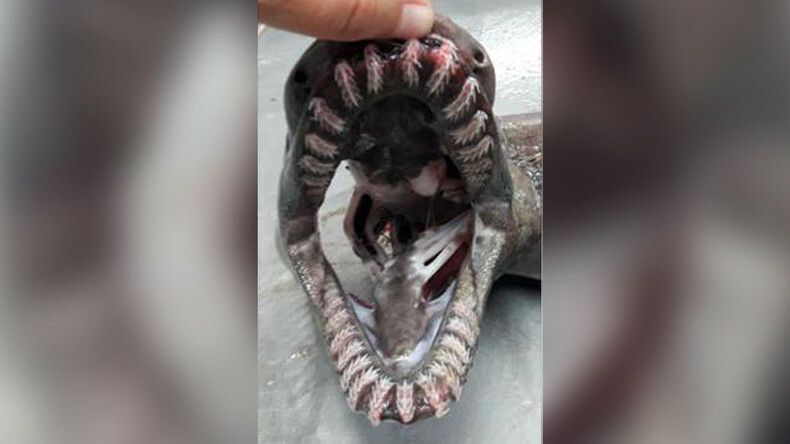 unchanged for 100s of millions of years..
jaws where the frilled shark may have as many tiny teeth.